Citation: “Alice Maden & Lionel Maritan, BD Medical – Pharmaceutical Systems”. ONdrugDelivery Magazine, Issue 95 (Feb 2019), pp 32-38. 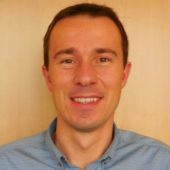 Lionel Maritan is Associate Director Research & Development at BD. 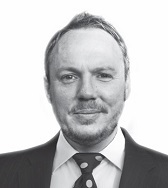 He is responsible for design, development and lifecycle management activities for autoinjectors and safety solutions. He joined BD in 2005 and held roles of increasing responsibility within R&D. Mr Maritan has deep experience in drug delivery systems design and development from the innovation stage to commercialisation. 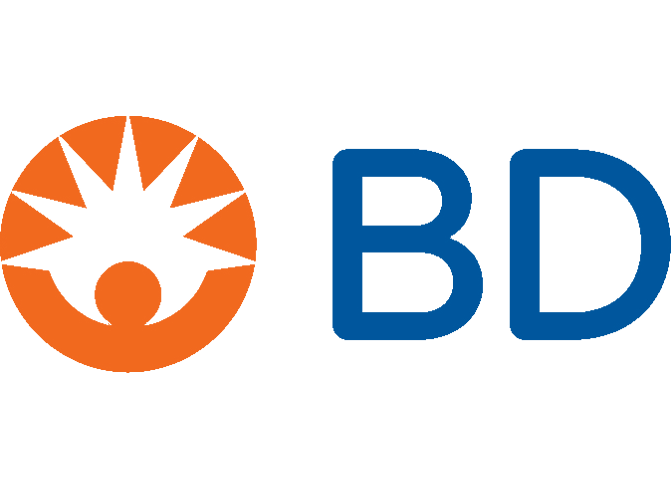 BD’s long history and experience in combination products has allowed it to develop deep domain knowledge to support the development of more robust, well-designed systems. Pharma company partners reduce the risk by selecting an integrated system of multiple components that work together to deliver the drug formulation safely and effectively. In this interview with ONdrugDelivery Magazine, Dr Maden and Mr Maritan discuss with detailed expert knowledge the benefits of using integrated systems for sophisticated drug device combination products with multiple device subsystems, and the crucial role that BD can play as systems integrator, delivering manifold advantages to its clients. Q What does systems integration mean, and how important is it? LM Generally speaking, systems integration is combining different subsystems into one functional system. For drug-device combination products it is the assembly of the drug with a primary container such as a prefillable syringe and, particularly in self-administration, with an add-on needlestick safety guard, an autoinjector, or a wearable injector. The primary container and other device subsystems are delivered to pharma companies for final assembly. The subsystems are available from multiple vendors and must operate perfectly once assembled together. To meet new drug delivery challenges we have seen the rise of complex delivery systems with automated functions. This has definitely raised the bar when it comes to providing robust integrated systems, due to the number of functional interfaces. The systems integration engineering process starts at the innovation stage and it’s a critical and indispensable part of bringing a safe and effective drug-device combination product to patients with reproducible performance across millions of units. To ensure this seamless interaction between the various subsystems throughout the entire product lifecycle, a large range of competences and capabilities is required. For example you need product development technical excellence; requirements and specifications management; the scientific experts across different fields such as chemistry, mechanics, fluid dynamics; and manufacturing engineering capability from preclinical and clinical through to large scale. Our goal is to minimise and prevent issues that our pharma customers face during the early stages of a combination product’s launch in order to reach the market on time. Getting to market on time is really a key driver and a key benefit of systems integration. But the advantages also flow through to the patient. Of course, after launch and during commercialisation we have to provide a robust system that operates perfectly in real life use conditions. This is why we cover human factors aspects. It’s also important that we anticipate all of the use-related hazards that could arise (Figure 1). Figure 1: BD’s experience with integrated systems enables robust and well designed combination products. BD has the primary container expertise, analytical tools and lab test capabilities to help predict interfaces and functionality. AM The importance of systems integration data is increasing all the time as drug-device combination products are becoming more and more advanced. The demand for more sophisticated systems arises because it is becoming increasingly important that the patient is comfortable with their treatment, that their treatment is easy to use. It’s far more complex now than simply having a vial on one side and the syringe on the other. For this reason there are more regulations covering combination products, especially around the integration of different subsystems, and for good reason. It has been demonstrated that while sophisticated devices with multiple integrated subsystems are more expensive, there is an added value for the user who gains more benefit from their treatment and so at the end of the day the effect on total cost is positive. This is all related to healthcare economics. When devices are easy to use and comfortable for the patient it means they are more likely to be compliant with the treatment. If they’re compliant, there is definitely a cost saving for the payer. At the other end of the process – at the initial design and innovation stages there are substantial clear benefits from having a single supplier of the device subsystems, with a single coherent viewpoint. 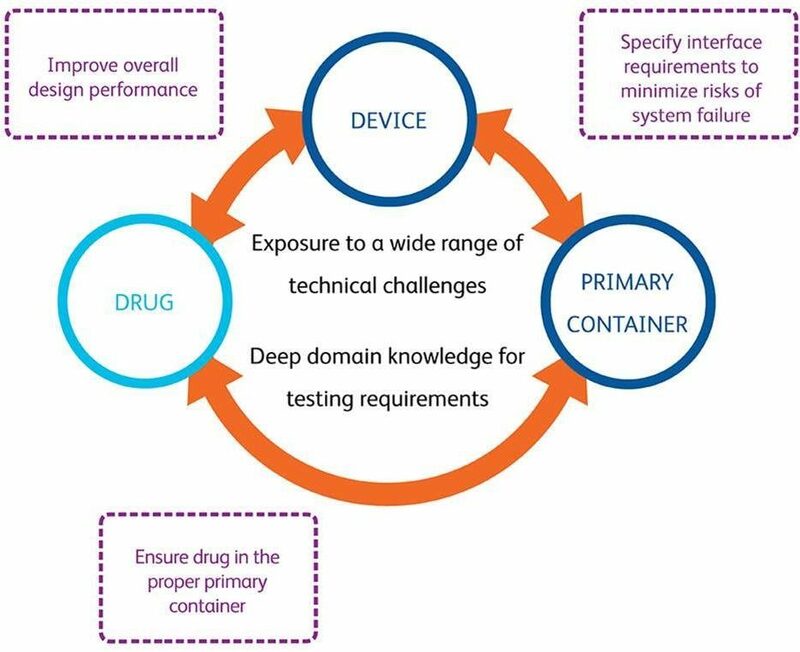 When a pharma company is sourcing, for example the primary container, secondary packaging other device subsystems such as a safety add-on from a single supplier, they don’t have the complexity of dealing with multiple different suppliers and integrating products from multiple different sources. There is a de-risking effect. The accompanying technical and regulatory data is also key – there are again clear benefits from receiving all of the relevant data covering the different device subsystems in one co-ordinated package from one supplier. Q How does BD position itself to offer an integrated systems approach? LM Filing and launching a drug-device combination product is a long and expensive journey for pharmaceutical companies. To make sure that BD’s customers succeed and excel in this process, we are positioned as an advanced drug delivery solutions partner. We take care to assure and demonstrate the performance of the combined delivery system comprising the prefilled syringe together with the device subsystems. We assure performance throughout device technical management. Ultimately, when developing an advanced delivery system with multiple device subsystems, a delivery system integrator is required. We are able to assume this role, and this differentiates us from other companies. Specifically, it means that we manage all of the iterative event loops and requirements through the cascading process from delivery system requirement definitions, sub-system requirements, component requirements, manufacturing process requirements during the definition and development phases. AM There are specific guidances that deal with systems approaches, both from the ISO organisation and regulators. We can demonstrate that we have supporting documentation that is in line with what all relevant authorities and standards organisations expect from us and our customers. For example, design control is regulated in the US by the FDA’s 21 CFR 820 so at BD we have included this in our product development methodology. We control all elements of the delivery system. FDA highly recommends to pharma companies leverage information at the supplier level. So the fact that we have the whole system is a definite advantage. Our integrated systems approach is supported by a cross-functional team, meaning that not only are the technical aspects considered during development, but also the quality and clinical/medical aspects. So we’re able to develop a very comprehensive, exhaustive data package thanks to the methodology that we apply and the variety of experience and capabilities in our cross-functional teams. 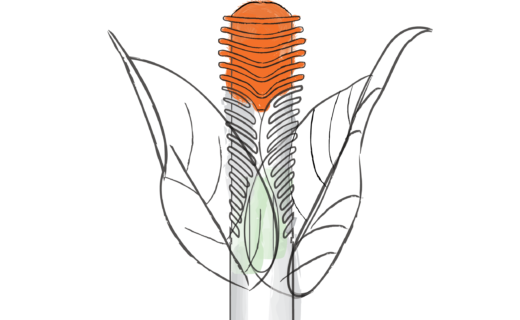 Figure 2: The BD Physioject™ disposable autoinjector, successfully launched eight years ago. LM It covers all design control aspects including human factors, usability testing and preclinical and clinical evaluation. Also, later during the commercial phase which is also a critical phase, BD will define and implement all of the relevant routine inspections for the prefillable syringe and the device subsystem. This is where we’re able to maintain product performance year after year and on millions of units. Additionally, we maintain and analyse post-market surveillance – feedback and reports of problems from our pharmaceutical partners after product launch. In this way we continually improve the performance of the full system by continually monitoring and improving the performance of each subsystem. An example is our disposable BD Physioject™ autoinjector (Figure 2), which we launched eight years ago. Today we have an extremely low level of reported problems regarding the critical functions including those functions at the interface of the syringe with the device subsystems, such as rigid needle shield (RNS) removal, syringe resistance, needle bending. On all of these issues we are below the one defective part per million (ppm) level on the market. The coherent overview afforded to a systems integrator and to achieve this reliably high level of product quality is about more than being a large organisation. 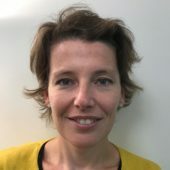 BD has to have the capabilities and also the organisation needs to be aligned appropriately to achieve this, not only technically to deliver the product but also the supporting data both at system level, and the whole cascade of requirements, specifications etc that I mentioned earlier at the subsystem level too. This offering from BD is a key differentiator in the market today. It is a key differentiator. It might be possible to gather together different suppliers for different subsystems with capabilities at different points in the process – some early, some to launch and some post launch. However, it is very difficult indeed to gather together and co-ordinate all the different suppliers that cover all of the multiple subsystems at all the different points and stages of development and commercialisation. BD covers all the device subsystems all the way along – from concept to post market. Q The advantages of having a single supplier are clear, but are there any disadvantages or circumstances where multiple suppliers would be preferable? LM To be honest, we know that a weakness exists from having a single supplier, and we do not need to shy away from it. Some pharma companies prefer to double source their prefillable syringes and these companies would of course be less attracted to a single supplier of the integrated system. But to be clear, wherever systems and subsystems are sourced, at the end of the day you need a system integrator to make sure that the specifications are meaningful – dimensional specifications, functional specifications, cosmetic defects and so on. All of the specifications need to be applied to the prefilled syringe and device subsystems and the device integrator needs to do this job. If a pharma company decides that it requires double sourcing for its prefilled syringes then they also have to position themselves and take the lead as systems integrator. It is entirely possible, but the pharma company takes on a substantial additional burden and it is a long journey. They will inevitably face the challenges we have faced internally and are now used to dealing with. There are invariably trade-off discussions. For example, what is the best design space between putting more burden on the syringe specifications or revisiting and redesigning an autoinjector to better accommodate a syringe? There are multiple back-and-forth discussions during the development process that are by their nature very iterative, so a pharma company assuming the role of systems integrator will have to undertake all of this. With multiple vendors, multiple stakeholders, with all of the different levels of IP protection to take into account, it becomes a major challenge. AM Many pharma companies now have strong business continuity policies some of which will say that everything that can be double sourced should be double sourced. But what remains very true is they can still leverage systems integration from us for our prefilled syringes and secondary devices / device subsystems. With that completed by us, the challenge with double sourcing starts when it comes to validating and integrating the second supplier’s syringe. An organisation like BD can of course demonstrate very reliable production quality at extremely low part per million device fault rates, and this represents powerful evidence to support the case that only a single supplier is required if they are a very reliable supplier. However, it is a trade-off. It depends on the different strategies that different pharma companies have. Some will insist on double sourcing. Others might also prefer to develop their own device in-house. We have to acknowledge that and indeed BD still represents a good partner to supply individual subsystems to these pharma companies. But many pharma companies really do not want to take on any burden with regards device system and subsystem integration and this is where BD is well positioned. We serve pharma companies that seek a true partner from whom they can source a robust entire integrated system. Q Can you describe the most common issues that a pharma company can encounter when not opting for an integrated system? What can be the costs associated with not having an integrated system? AM At BD we have worked on a modelisation which identifies all of the milestones throughout the development and commercialisation process at which poor integration could have an impact. This means that from device design through to launch and on into lifecycle management we have a cost case for integration. We’ve had the opportunity to discuss this with customers in detail and we’ve found that some of these milestones are more impactful than others, and present challenges of a different nature. For example, at the early stages you’re in development, you have an issue with poor integration, and during design control you realise that your product doesn’t work. It’s definitely an issue, but less painful discovering the problem early than discovering it later on. The further you continue through development with a poorly integrated system without realising, the greater the impact when the problem is identified. We at BD recommend that pharma companies go to their suppliers as early as possible. It used to typically happen at around Phase III, but it is becoming more common now for first contact and consultation to happen earlier. Phase II is a suitable time. It seems early but this is really the right time to define the optimal system and again the earlier you identify problems the less painful it is, and less costly. One of the reasons we’re having these sorts of discussions today is that there are many autoinjectors out there on the market but a lot of them are facing issues. The industry is becoming increasingly aware of these issues, we’re hearing about them often. Pharma companies planning to launch autoinjector-based products onto the market are increasingly seeking assurances that these issues will not arise. At various stages during development you can discover that you don’t have an optimal system because it is not fully integrated. It can happen just before launch during clinical studies or during human factors studies. This is already quite late because human factors studies are long and the cost is considerable so when you discover a problem at this stage this is a bigger and more costly problem. But then going further through development you might be challenged by the regulatory authorities on the core integration during their review of the dossier containing the design control and human factors data. This could postpone launch and this has been identified by us and by our customers as the most painful milestone at which to encounter a problem. Postponing the launch of a blockbuster biotech product incurs really very high costs, due to loss of time on the market. This is the worst, most painful stage to encounter problems due to poor integration. Then the next point a problem with poor integration might be discovered is post launch, during lifecycle management. This happens relatively frequently because you have large volumes of product reaching the market at this stage and a very large population using the product, with a wider variety of local / cultural habits, for example. This is costly because you might have to change something. Changing the primary packaging, for example, is most costly because each time anything is changed that is in direct contact with the drug you have to reconduct various studies that are time consuming and costly, such as stability studies. Changing secondary packaging, say for an autoinjector used for self-injection, is challenging in a different way. You’re changing the look and feel of a product and altering how the patient is used to finding the product when they open the box. The identity and reputation of the product is at risk. Again, clearly the earlier such problems are identified and rectified, the better and less costly it is. The point I made earlier about the importance of making contact with a device supplier early links in with minimising systems integration problems even at the lifecycle management stage. Customers have various options at the early stages with regard to how they will approach lifecycle management. Some go with a sophisticated, multiple subsystem combination product from the outset. For example, this could be a syringe and an autoinjector or syringe and a safety system. In these cases BD can recommend the most appropriate system and we will have the data package that demonstrates that the suggested system is well integrated. Other customers start by launching a naked syringe and then consider a more sophisticated system as part of lifecycle management, perhaps to protect themselves from potential biosimilar or generic competition. In these cases, the more BD as systems integrator knows at the beginning, the better. If we know that they are planning, perhaps five or ten years from now, to add an autoinjector, for example, we are able to recommend the right syringe from the outset that is suitable for integration with the autoinjector at a later stage. Often customers themselves do not know the details of their lifecycle management from the outset, but if they do have a clear plan, and they communicate it to us, we can anticipate in the initial primary packaging all the future needs for the intended second step. LM The chronic treatments market is definitely more competitive than it was ten years ago and we are seeing the arrival of biosimilars too. Patient adherence is crucial; the patient is now also the user and they are used to having numerous autoinjectors to choose from – autoinjectors are becoming more of a commodity today. Ultimately the quality of systems integration is what differentiates one product from another – not only from a purely functional standpoint but also from a human factors standpoint, and this will impact upon adherence and adoption. Today the end user has more choice than ever. When we started work on BD Physioject™ 13 years ago, even before that time in fact, we were already talking about systems integration within BD. Eight years ago, when we started the commercialisation of BD Physioject™ and talked about systems integration with our pharma customers, some were not so receptive to that approach. But today systems integration is commonplace – it’s a must have. As a result, we see customers coming to us very interested in BD Physioject™ and in particular our proven expertise, proven results, great post-market surveillance outcomes. The discussions we are having now with pharma partners are very different. Whereas eight years ago we were discussing specific features of the autoinjector, today we are talking about robustness, reliability at the commercial scale, hitting the market window, reliability of our production processes. Q What specific data can BD provide to customers to better control their development process and minimise development risks? LM Using BD Physioject™ as an example again, we have a clinically proven and commercially available solution for which we have a rigorous clinical and supporting human factors data including post-market surveillance. We also have the full technical package, which means drawings, event verification, summary reports and customer product specifications. Additionally, we have what we call the customer design for manufacture guidance for customers, detailing how they should assemble BD Physioject™. We also provide validated instructions for use (IFU), the full regulatory package. We also have a full documentation package covering the integrated solution – for example BD Physioject™ plus our BD Hypak™ for biotech syringe. All the interfaces are covered by these specifications. To provide some idea of the extent of our experience with BD Physioject™, take as an example the fact that the syringe has to resist the stress exerted upon it when you activate BD Physioject™. Under the power unit’s load, the syringe is stressed. Here we formed a deep and iterative engineering framework to work on the critical interface between the syringe and the BD Physioject™ to find the best design options and to define the right subsystem requirements, which means defining the target and acceptance criteria and the testing method. To do this work we went through multiple design iteration processes, driven by a science-based approach to reducing the stress on the syringe. We ran simulations, we performed many designs of experiments with different syringe designs and different processing conditions. We performed more than 10,000 functional tests at limits on the syringe and on the BD Physioject™ device to support the robustness of the entire system. For example, we created a specific requirement for flange resistance. We monitored flange resistance in routine, we built strong specifications, with specific testing methods and acceptance criteria and the result is that we added to our body of knowledge. 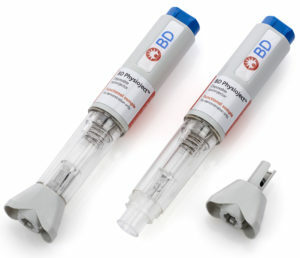 We know that when you take this syringe and put it inside BD Physioject™, it works. And we know precisely why it works. 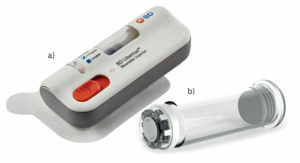 Figure 3: BD Intevia™ disposable autoinjector, the new generation of two-step, push-on-skin autoinjectors in 1 mL (a) and 2.25 mL (b) sizes. To undertake such testing, it helps to have experience with and access to the syringes at limits, and the subsystems for testing. This also applies to our new generation of two-step, push-on-skin autoinjectors, called BD Intevia™ (see Figure 3). This platform, which is suitable for 1 mL and 2.25 mL syringes, leverages all of the lessons learnt over more than 13 years of experience developing, launching and commercialising BD Physioject™. For example, the excellent performance relating to RNS removal, usability studies, flange resistance, barrel resistance, completeness of injection. Across all of these mandatory criteria we have integrated the lessons learnt from BD Physioject™ into BD Intevia™ and in this way we can demonstrate an extremely high level of robustness, even before commercialisation, which is scheduled to begin very soon. Additionally, the substantial amount of knowledge and expertise we have allows us to better manage more conflicting requirements. Since BD Intevia™ is designed to accommodate higher viscosity ranges, this means that we require a stronger power unit, but a stronger power unit means more stress on the syringe. We had to design specific technical means to be absolutely sure that the prefilled syringe is not damaged by the forces exerted by the stronger power unit. This is critical for this next generation of autoinjectors with higher power units. What was true in the industry yesterday – when we mainly had 1 mL autoinjectors for lower viscosity formulations – will be different tomorrow. With these additional stresses on the syringe and device subsystems, systems integration therefore becomes more important than ever. Q How does systems integration play a role in the area of wearable injectors? 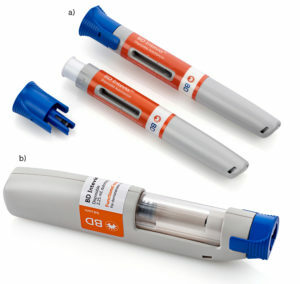 Figure 4: BD Neopak™ glass prefillable syringes for biotech products. LM Certainly. 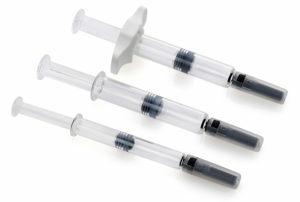 Platforms such as BD Intevia™ and BD Physioject™ are integrated with more conventional syringes – our BD Neopak™ syringes (Figure 4) for example. But in the case of wearable injectors, during the development of our wearable platform and based on customer requirements, we designed a unique prefilled container in order to bring very specific, differentiating features; the aseptic transfer function of the drug to the patient, for example. To make it happen, to have this prefilled container within a specific form factor dedicated to our wearable injector, BD Libertas™ (Figure 5a), the internal technology is different from an autoinjector and to meet the specific requirements we had to create a new prefilled syringe. If we’d built the wearable device around a BD Neopak™ syringe, for example, we would not have been able to meet the specific form factor requested for a wearable injector. It’s very different from a handheld device. Intensive engineering efforts led to the design of specific stoppers, a specific aseptic transfer area, and many other specific attributes. Figure 5: As systems integrator BD was able to design a new prefillable container (a) to accommodate the target product profile of the BD Libertas™ wearable injector (b). It was possible to do this because we are the systems integrator so in this case we were able to orientate the design of a prefilled container to accommodate the target product profile of this specific device (Figure 5b). It’s a unique prefilled container – you will not find it anywhere else – and it is supplied to patients embedded in the device, prefilled. We wanted to avoid filling at use, as this simplifies the steps for the patients. Q Can you explain the difference between integrated system data and component specifications? What are the implications of choosing one versus the other? LM Ultimately you need integrated system data for the registration of a combination product. You can’t define reliable component specifications such as dimensions, functional interfaces etc, without a deep scientific understanding of critical parameters of the whole system itself. You do of course need to understand the impact of these critical parameters at the component level, but you must also understand their impact at the system level. This is impossible without extremely detailed knowledge about all of the interfaces between all of the subsystems, and of what we call the transfer functions. For example, injection time is a transfer function and behind that information there exist a range of critical parameters – the viscosity of the drug for example, the needle diameter, gliding forces, size of the power unit, the length of the needle. So you see there are multiple critical parameters on the subsystem level that will have an impact at the system level. The team that is assuming the responsibility of being the system integrator needs to know the transfer functions in order to be able to predict with the required level of accuracy what the injection time will be. You also need to know the manufacturing capabilities behind each of the critical parameters. If we’re talking about needle diameters for example, this not just an R&D consideration but also a question of manufacturing capabilities. At BD, when we predict a transfer function such as injection time, we are able to factor in all of the correct manufacturing capabilities to our models precisely. It’s true for a lot of functions – injection time, needle penetration depth, needle extension accuracy. We can be extremely accurate here, more accurate than other companies that are focused on one component, such as only the power unit or only the prefilled syringe. We can of course provide all of this integrated system data to our customers, representing a clear and very important differentiation from component-specific suppliers. Additionally, we are in a well informed and expert position to propose the optimal combination of subsystems to meet specific pharma customers’ requirements optimally. We would not propose the same device, the same power unit, the same BD Neopak™ configuration for a pharma customer who has a product with a specific viscosity range and drug sensitivity, as we would for another customer with a different drug with different viscosity and sensitivity. Systems integration is a long journey. At BD, our systems integration offering goes beyond the fact that we are a large organisation. Being large is important – the scale and range of the resources that we can deploy for our customers throughout development, commercialisation and lifecycle management is a significant factor. Regulatory services, clinical, technical services such as mechanics, chemistry analytics, testing labs – hundreds of world-class people working together. But size alone is not enough. Depth of expertise, the range of capabilities, and the amount and the quality of data at our disposal are all crucial. It comes back to the fact that this work has to be done – without the integrated system data our pharma companies will not gain regulatory approval for their combination products. It really represents an added value point from BD’s side that we can assume the systems integrator role and do this work on behalf of our customers. We have to acknowledge that some pharma customers will prefer to do some device development internally, leveraging their own capabilities. That being said, when you’re talking about more sophisticated devices with multiple subsystems – autoinjectors and wearable injectors, for example – BD remains one of the best device partners available where integration expertise is required across the prefilled container and subsystems. Q What are the implications for combination product filing? How can this impact the filing process? AM In terms of combination products regulation, the US FDA is the most familiar, with its 21 CFR Part 4 from 2013. But more regulators are focusing on combination products. In Europe, the EU’s Medical Device Regulation (MDR) was published in May 2017 and will be implemented in May 2020. MDR, Article 117, specifically covers drug-device combination products and the fact that delivery devices need to comply with a particular list of criteria, the General Safety and Performance Requirements (GSPR). It is similar to the Essential Requirements Checklist that is currently required; the demonstration of systems integration will be very similar but submitted in a different format under the MDR, and the level of scrutiny is expected to be substantially increased. But further than the US and the EU, various other perhaps less known regulators, Malaysia’s Drug Control Authority, for example, is also turning its attention to combination products. The FDA has been very clear that, in terms of design control, everything that can be leveraged from the supplier should be. So if a pharma or biotech company has a systems integration design control data package from its supplier then that work done by the supplier does not have to be done again. The impact is obvious, and it’s an important point. It’s something that is not feasible if you have multiple suppliers. I’ve had the opportunity to discuss this with our customers and it is clear that this is something pharma recognises. They asked very clear questions – such as what happens if we source a rubber stopper from a different supplier. BD clearly can’t supply the systems integration data for that because we don’t have control over it. As the systems integrator, thanks to our cross-functional offering, BD can provide a formatted document – not just the raw data but information of the type, level and format expected by specific local regulatory authorities. For example, it might be in the CDT format for the ICH regions such as the US, Europe and Japan. But BD supports hundreds of customers targeting the same markets with their various regulatory requirements – our experience is not limited to the major territories but is truly global, built over decades working with the largest regulatory agencies to the very smallest. No matter where the customer is located, and no matter where the support they receive from BD is located, we know our customers have a worldwide target market and they can utilise our worldwide expertise to access that market. We leverage this global view and global experience and consolidate it into the recommendations we make to our customers.